To commemorate Liberty Day 2018, Super Earth Command is giving you more Freedom. More Democracy. MORE LIBERTY. 3 NEW Difficulties have been added beyond HELLDIVE! 3 NEW Enemies have been added. A NEW Stratagem has been added (MGX-42 Machinegun). In celebration of Liberty Day 2017, new FREE equipment has been added to the Helldivers arsenal. To protect Super Earth from all threats and spread managed democracy, unlock the 3 new Stratagems (Heavy Strafing Run, 'Thunderer' Smoke Round, A/GL-8 Launcher Turret) by liberating planets. For Super Earth! 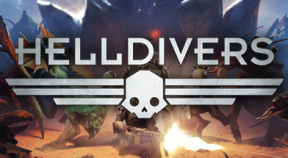 Celebrate the 2 year Anniversary of HELLDIVERS with a FREE new HELLDIVER 'Next-Gen' Armor and Helmet! Simply start the game and the new content will be in your armory. In celebration of Liberty Day 2016, we are giving away free equipment to all Helldivers. Simply start the game and the new 'M2016 CONSTITUTION' rifle and 'Liberty' cape content will be in your armory. Celebrate the 1 year Anniversary of HELLDIVERS with a FREE new HELLDIVER "Assault" Armor and LAS-13 "Trident" Laser Shotgun! Simply start the game and the new content will be in your armory.